AOC has recently announced a brand new 27-inch monitor aimed at those of you who are looking for a decent all-around product that can meet your multimedia and gaming needs. 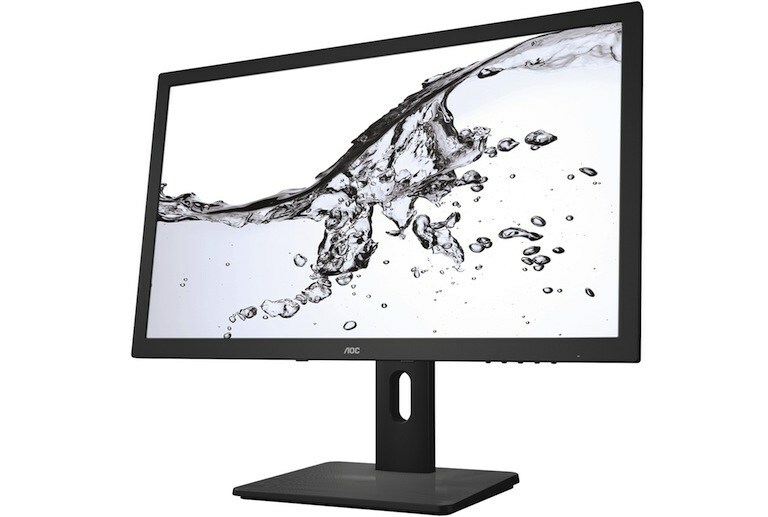 Even though it’s not necessarily being advertised as a gaming monitor, the AOC Q2775PQU can definitely be used in gaming, as it features a 4 ms response time as well as a generously sized WQHD (2560 x 1440 pixels) IPS panel. The 178°/178° viewing angles are also a big plus, not to mention the 10-bit color (1.07 billion colors) support, the dynamic mega-contrast, and the 350 cd/m² maximum brightness levels. When it comes to display ports, this product features dual-link DVI, HDMI (probably HDMI 1.4a), D-Sub and DisplayPort 1.2. The integrated stereo speakers have a power output of 2W, which should be enough for casual multimedia sessions. The 4-port USB 3.0 hub also deserves a mention, of course, as it adds a plus of convenience and practicality. Weighing in at 6.6 kg or 14.5 pounds, this monitor measures 533.4 mm x 242.9 mm x 640 mm, and it is accompanied by a stand that supports regular tilt adjustments. 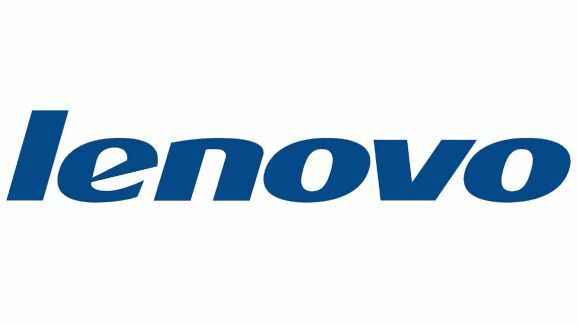 Other highlights include Plug and Play, i-Menu, e-Saver, Vesa Wallmount and sustainability certificates such as Energy Star 6.0, TCO 6.0 and EPEAT. 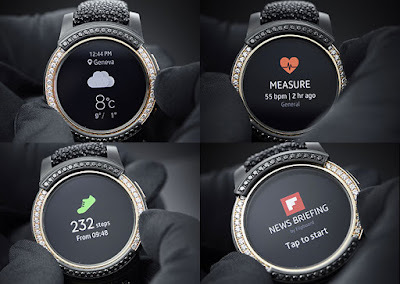 Samsung Electronics announced their latest fashion collaboration with the renowned and glamorous jewelry and watchmaker, de GRISOGONO. The two iconic brands have come together to co-create the Samsung Gear S2 by de GRISOGONO – a limited-edition jewelry watch designed and sculpted in gold and precious jewels, boasting Samsung’s innovative Gear S2 technology. The partnership between de GRISOGONO and Samsung goes far beyond mere co-branding and extends into authentic co-creation and design. Both brands combined their vision and unique aesthetic to co-create a limited-edition smartwatch that brings fashion and function together, while allowing you to express your personal style. The Samsung Gear S2 by de GRISOGONO channels inspiration from traditional jewelry and watchmaking, evoking the distinctive de GRISOGONO design heritage. The smartwatch is transformed into smart fashion with rose gold, over 100 black and white diamonds and a bracelet studded with de GRISOGONO’s signature galuchat. The diamond-set gold bezel turns freely around the dial, allowing consumers to access the Gear S2’s library of applications and features, including notifications, activity logs. Dedicated to perfection, innovation and imagination, de GRISOGONO has spent the last 20 years creating a characteristic and distinguished style expressed through collections that have made a lasting impression on the watch and jewelry industry. The designer’s signature look blends glamour and artistry, and brings his bold vision to life. Both Samsung and de GRISOGONO share a barrier-breaking vision and cherish craftsmanship along with the beauty of design, thereby fueling the co-creation of the Samsung Gear S2 by de GRISOGONO and a partnership that further unites fashion and technology. The Samsung Gear S2 by de GRISOGONO will be debuted at Baselworld 2016. This limited-edition smartwatch will be available for purchase starting this summer through both Samsung and de GRISOGONO’s retail channels. With the steady rise in mobile technology in recent years, many businesses have made Mobile commerce, or M-commerce, a top priority. Whether it’s using a tablet in a brick-and-mortar store, or enabling sales through a mobile website, businesses across a wide range of industries are seeking solutions to help them adapt to a mobile-obsessed world. With the steady rise in mobile technology, here is expected m-commerce trends in 2016.Sure enough, ‘Mobile commerce will be nearly half of E-commerce by 2018’ revealed a headline in a leading magazine recently. These are phenomenal numbers; so in order to gain an in depth insight into the global reach and influence of M-commerce, we must analyse a report by the investment bank, The Goldman Sachs Group, Inc. The study estimates that M-commerce sales will reach a staggering $626 billion in 2018. It is therefore amply evident that M-commerce growth is fast outgrowing that of E-commerce in a ratio of 3:1.This indicates that web sales only on smartphones and tablets in 2018 will nearly equal web sales on almost all conceivable computing machines from just half-a-decade earlier. The number of smartphone and/or tablet users making purchases on their mobile devices will increase significantly in the years ahead. A whopping 686 million consumers around the globe will make a purchase on their mobile devices in 2015. This figure is set to increase 21% to 830 million in 2016 and subsequently rise 16% to 961 million in 2017, and peak 13% to 1.09 billion in 2018, according to The Goldman Sachs Group.Gartner Inc., found in a recent survey that mobile commerce currently generates 22% of digital commerce revenue. The American information technology research and advisory firm predicts that by 2016, 89% of companies will realize that reaching out to their customers through a multi-channel approach will be mandatory, and hence peg customer experience as their primary basis for competition.Industry experts state that the reality is that focusing innovation on new products—and even new business models—is subject to shrinking periods of competitive advantage. This is because competitors and alternatives abound. To meet this challenge, nearly three-quarters of companies expect to increase technology spending on customer experience in 2015.Marketers with digital and mobile commerce initiatives need to focus on encouraging the development of cross-functional teams — including IT, sales, customer support and legal — to create seamless path-to-purchase experiences, and post-purchase relationships with consumers who are increasingly using mobile devices to research and purchase products and services. Mobile marketing teams should investigate how to leverage mobile wallets, with the expected reinvigoration of consumer interest in mobile commerce and payments. In fact, Gartner reveals that by 2017, U.S. customers’ mobile engagement behaviour will drive mobile commerce revenue to 50% of U.S. digital commerce revenue. Mobile commerce will account for 24.4% of overall ecommerce revenues by the end of 2017.Some sectors will migrate more quickly than others to accepting mobile payments and promoting mobile commerce. For example, big-box retailers may not need to move as quickly as other industries because the in-store experience is still a critical part of their value proposition and the customer experience, making digital and mobile commerce a smaller portion of their overall revenue. Customer experience management will naturally be at the forefront of all these initiatives.However, new credit card standards will cause a shift in liability for fraudulent transactions in 2015, requiring retailers to update their point-of-sale systems for safer credit card transactions in 2016. Unisys Corporation today announced the appointment of Richard Everett as vice president and general manager, sales and business development, Unisys Asia Pacific.In this role Richard has responsibility for building Unisys’s client base in the Asia Pacific region, which represented 11 percent of the company’s global revenue in 2015. He leads the team responsible for sales, presales and sales effectiveness.Richard joined Unisys in 2013 in a leadership role for Unisys’ Asia Pacific technology and integration business. In August 2015 he was promoted on an interim basis to lead the sales team across Asia Pacific and has now been appointed permanently in that role.Based in Canberra, he is an accomplished leader and business manager with 20 years of professional experience in creating and driving business growth with client focus. Prior to joining Unisys he held executive, general management and senior leadership roles at International SOS, ASG Group and Cisco.“We are delighted to be able to recognise and promote internal talent,” said Jeff Renzi, president, global sales, Unisys. “Asia Pacific is a strategically important growth market for Unisys, and Richard’s leadership and focus on the client’s business will be key to growing our own business in this region.”Richard holds a bachelor’s degree in Information Technology from the University of Wollongong in Australia. 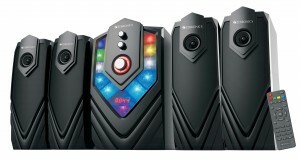 Zebronics, India’s leading supplier of IT peripherals, Audio/Video and Surveillance products brings in yet another annexation to its widest range of Audio products, with its latest, high decibel – Loud sound – Samba 4.1 Speakers. From explosive action sequences to the pulsing bass beat of your favorite songs, immerse yourself in sound at massive 105Watts RMS. Its Music, Movie and Masti unlimited at affordable price of Rs. 4747/-Equipped with advanced acoustical engineering, the multimedia speakers provide a heightened home entertainment experience. It fulfills expectations of consumers with its excellent sound for music, movies and games. Designed to perfection with attention to detail the 4.1-channel surround Samba is encased in wooden chassis with a gloosy black front panel finish and features with LED Display. With its RGB Glow the speaker not only boasts beauty in its own but enhances the looks of its surroundings. So whether it’s a house party or the Oscars Night on TV, the red carpet shall commence spot-on at your place!The 4.1 Channel ensures superior sound from all angles with enhanced acoustic performance. It brings in unmatched audio experience with deep bass and lower distortion. The sub-woofer flaunts a wooden cabinet with individual controls. It comes with 16.5cms low-range driver for subwoofer and the satellite speakers are powered by 7.6cms full range drivers for high performance output. With the total output of 105watts RMS and frequency range of 20hz-20khz, the speaker ensures thumping bass lines and clear mid tones with sharp sounds, which surely packs a punch with best in class sonic experience!Furthermore, the Speaker features connectivity options galore! The all rounder Samba can be easily connected to various media devices with Bluetooth and also supports USB pen drive and Micro SD/MMC Cards. It also comes with built-in FM radio to tune in to your favorite FM station. It can be also connected to desktop, laptop, TV, DVD players, media players etc with aux-in. Lastly whatever your music taste is, you are also in full control with Wireless Remote Control! Dell today announced a series of new data protection solutions to help organizations better protect business-critical systems, applications, and data – either on premises or in the cloud. Offerings include: the general availability of Dell Data Protection | Rapid Recovery; three new data deduplication appliances models; new Dell Data Protection | Endpoint Recovery – Free Edition; and the new Dell Data Protection | NetVault Backup 11. These updates to the data protection product portfolio reinforce Dell’s commitment to driving innovation and giving customers the choice and flexibility they need to quickly address evolving backup and recovery needs as they move data and applications to the cloud. · An ideal fit for mid-market organizations, the DR4300 delivers up to 108TB of usable capacity while ingesting up to 23TB of data per hour. The entry-level DR4300e is a smaller scale, low-cost appliance that can scale up to 27TB while offering all the features of the DR Series. With these offerings, small and mid-market organizations can now easily adopt enterprise-grade data deduplication capabilities that have traditionally been out of reach. · The DR63000 is a larger midmarket and small enterprise solution that delivers up to 360TB of usable capacity while ingesting up to 29TB of data per hour, delivering the scalability needed to support growing environments. - Enterprise Windows client deployment manager that allows customers to target up to 1,000 clients for automated installation, increasing both efficiency and scalability. - High-performance file system multi-streaming capability that allows customers to break up backups into smaller, simultaneously executed chunks to increase performance. - Restartable VMware backups so users pick up where a job left off. · Dell Data Protection | Rapid Recovery is available now worldwide starting at $1,199 for new users. A free upgrade for current AppAssure license holders is also available. · The Dell DR 4300e, DR 4300 and DR6300 are available now worldwide. Pricing starts at $13,000 for the DR4300e, $43,000 for the DR4300, and $87,000 for the DR6300. · Dell Data Protection | Endpoint Recovery – Free Edition will be available worldwide beginning in early March. · Dell NetVault Backup 11 is available now worldwide starting as low as $1,265. 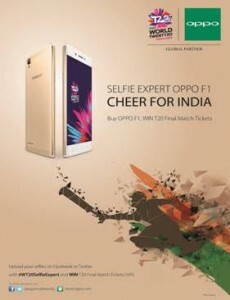 As India plays host to ICC World Twenty20 2016, OPPO Mobiles, official global partner in the mobile category, has launched “Selfie Expert OPPO F1 Cheer for India” campaign – a 360 degree customer engagement program that goes live from March 1st, 2016. The campaign aims to capture the cricket frenzy that has gripped India as it plays host to another great season of world class cricket this year. As a part of the campaign, all customers of Selfie Expert OPPO F1 stand a chance to win tickets for the WT20 final.Mr. Sky Li, Vice President, OPPO Mobiles and MD- International Mobile Business and President of OPPO India said, “There is no better way to join in the fervour of India’s passion for cricket than by giving people a chance to watch the match live win tickets for the final match. There is a huge international cricket fan base in India and OPPO is looking forward to connect with them through our customer engagement program, more of which will be announced very soon.”OPPO was also recently a part of the ICC- UNICEF’s Swachh Clinics initiative where underprivileged kids got a chance to click selfies with the ICC World Twenty20 2016 Trophy. Kingston, the independent world leader in memory products, today announced that it has finalized theintegration plans for IronKey™. As a leader in the USB Flash drive market since 2004, Kingston® will utilize its IronKey product line to deliver FIPS 140-2 Level 3 certification solutions for customers who need the highest level of encryption and security. Kingston will ensure a smooth transition for existing IronKey customers and will work with its collective partners to enable access to sales and technical support, plus access to Kingston’s world-class product and service resources.The “Kingston IronKey” will be the company’s top of the line as well as the industry’s most secure USB Flash drive featuring FIPS 140-2 Level 3 certification. FIPS 140-2 Level 3 certification is a requirement for civilian and government agencies as well as military branches in the United States and Canada. The certification is also often a requirement or guideline for financial and healthcare industry organizations. FIPS 140-2 Level 3 calls for a tamper-evident seal for physical security to detect and respond to attempts to access, use or modify the cryptographic module. Achievement of this certification required rigorous testing, which was reviewed and approved by the National Institute of Standards and Technology (NIST). 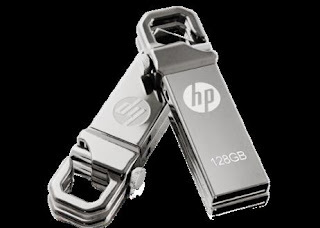 It is a benchmark for security and reliability for agencies and enterprise organizations looking for the highest level of encryption.Kingston will maintain its encrypted DataTraveler products, the world’s most-used encrypted USB drives, for customers who do not require FIPS 140-2 Level 3 validation. In addition, its close software partner DataLocker® Inc. will continue to manage the SafeConsole® and Enterprise Management Services (EMS) platforms that both Kingston and IronKey managed encrypted drives utilize.“The encrypted USB market continues to be viable as there is always the need for governmental agencies and organizations of all levels to protect mobile data,” said Nathan Su, Flash Memory Sales Director, APAC Region, Kingston. “Many IronKey products today support legacy NAND technology. Kingston will leverage our longstanding relationships with Flash memory semiconductors, controller partners and other component makers as well as our strong channel presence to bring IronKey products into the future and to new customers.”The recent purchase of IronKey’s technology and assets allow Kingston to focus on its core strength of encrypted USB drives. As part of the acquisition, Kingston has sold the encrypted external HDD business to DataLocker, whose product portfolio already includes similar solutions. The deal further strengthens the partnership between the two companies.